We’d love your help. Let us know what’s wrong with this preview of Woodrow Wilson by John Milton Cooper Jr.. Preview — Woodrow Wilson by John Milton Cooper Jr.
A Democrat who reclaimed the White House after sixteen years of Republican administrations, Wilson was a transformative president—he helped create the regulatory bodies and legislation that prefigured FDR’s New Deal and would prove ce The first major biography of America’s twenty-eighth president in nearly two decades, from one of America’s foremost Woodrow Wilson scholars. To ask other readers questions about Woodrow Wilson, please sign up. This is a well-written, evenly-balanced account of the life of the twenty-eighth president of the United States, the first major biography of Wilson in over two decades. Cooper describes Wilson's childhood and early family life and details his rise through the halls of academia to become the president of Princeton. After winning and losing some major battles in that office, Wilson consented to run for governor of New Jersey on a progressive reform platform. He won the election and, after only two This is a well-written, evenly-balanced account of the life of the twenty-eighth president of the United States, the first major biography of Wilson in over two decades. Cooper describes Wilson's childhood and early family life and details his rise through the halls of academia to become the president of Princeton. After winning and losing some major battles in that office, Wilson consented to run for governor of New Jersey on a progressive reform platform. He won the election and, after only two years in office, was catapulted into the Democratic nomination for the presidency in 1912. Although the Republicans had controlled the presidency for the last sixteen years, and although they remained the country's majority party, Wilson emerged victorious in a three-way contest when Theodore Roosevelt and William Howard Taft split the Republican vote. Wilson would go on to become one of the most influential presidents in the nation's history and secured a wave of reform legislation that included tariff reform, anti-trust legislation, labor reform, the creation of a number of important regulatory agencies and the creation of the Federal Reserve system. On entering office, Wilson freely admitted that he was not well-prepared to deal with foreign affairs and he hoped to spend his administration securing domestic reform. Fate intervened, of course, and presented Wilson with the greatest international challenge to confront the United States up to that point with the outbreak of the First World War. Like most Americans, Wilson fervently hoped that the U.S. could remain aloof from the war, but that simply proved impossible. As the most important neutral nation and as a rising economic powerhouse, the U.S. found itself caught in a vice between the major belligerent powers, all of whom wanted to take advantage of American trade and all of whom wanted to prevent their opponents from taking similar advantage. In the end, both sides violated the neutral rights of the United States, although to Wilson and most other Americans, the German violation of our rights seemed more oppressive, particularly in the wake of the sinking of the British ship, the Lusitania when more than a hundred American lives were lost. Cooper does not really address charges that the Wilson administration effectively gave the British and their allies a free pass for their violation of our rights while insisting that they would hold Germany to a "strict accountability" for their violations, and that the administration, while proclaiming our neutrality, tilted in favor of the Allies in a number of other ways. Most important, the administration continued to allow American banks to loan huge sums of money to the Allies, which gave them a significant advantage over the Germans and their allies. These actions may have suggested to the Germans that we were, in effect, favoring the allies, and they may have led the Germans to behave in ways that threatened our interests even more. Ultimately, of course, the U.S. did enter the war in 1917, and our participation tipped the balance in the war and produced the defeat of the Germans. Wilson was determined to produce a just and lasting peace at the end of the war and to put in place a mechanism which would hopefully prevent future conflicts. This, of course, was the League of Nations, and the effort to get the U.S. to ratify the Treaty of Versailles that ended the war and to join the League would consume the rest of Wilson's life. Wilson made two trips to Paris in an effort to influence the resulting peace agreement and then led a major campaign here at home to persuade Americans to join in the collective effort. The battle was fiercely waged against entrenched Republicans who opposed the treaty and who feared that entering the League would compromise the nation's sovereignty. Cooper notes that Wilson made any number of mistakes in battling for the League and then, in the midst of the struggle, Wilson suffered a major stroke that left him virtually incapacitated through the last year and a half of his presidency. The Twenty-Fifth Amendment to the Constitution had not yet been adopted and the country had no mechanism in place to deal with such a crisis. The vice president remained largely invisible and the country was essentially run by the members of Wilson's cabinet who continued to meet on a regular basis. Mrs. Wilson assisted, by sorting through papers and showing her husband the things she thought he should see. Wilson's illness deprived the Democrats of his leadership during the fight over the League and blinded him to the fact that he might have made minor concessions to satisfy the Republicans and win ratification for the treaty and allow the U.S. to join the League. Rather, he became increasingly stubborn and short-sighted. He refused to compromise in any way and in the end, the Senate defeated both the Treaty of Versailles and American membership in the League of Nations. Cooper paints a sympathetic portrait of Wilson but is not blind to his faults. In particular, Wilson held racial views that were inappropriate by the turn of the Twentieth Century and he allowed his administration to violate the rights of large numbers of Americans by stamping out dissent during the war. Cooper reserves his severest criticism for Wilson's decision to remain in office after his stroke. He believes that Wilson was incapable of performing his duties and that he should have resigned. Ultimately, he concludes, Wilson was "one of the deepest and most daring souls ever to inhabit the White House. His was also a flawed soul, rendered worse by the failing of his body, which consigned his presidency to an inglorious end." This was a really fine biography, although I am not sure how much I like Wilson after reading it. I started reading this when I heard some fairly extreme pundits starting to trash Wilson. I realized that while I did not wish to agree with the pundit, I was not as informed about Wilson as I thought I was. I had read the most about his diplomacy, especially his role in the Paris Peace Conference of 1919 and the his failures around the League of Nations. I was much less aware of his background, his This was a really fine biography, although I am not sure how much I like Wilson after reading it. I started reading this when I heard some fairly extreme pundits starting to trash Wilson. I realized that while I did not wish to agree with the pundit, I was not as informed about Wilson as I thought I was. I had read the most about his diplomacy, especially his role in the Paris Peace Conference of 1919 and the his failures around the League of Nations. I was much less aware of his background, his importance as a political scientist and academic administrator (President of Princeton), and as a politician (Governor of New Jersey). What was most surprising was the speed of his rise from being President of Princeton to being President of the US. The book is very informative, especially about the Progressive era and the national politics that permitted Wilson to become elected President in 1912. Cooper's treatment is superb throughout, including the wars years and the peace conference. Cooper also has a measured view of Wilson, which while generally positive also recognizes Wilson's numerous limitations. Overall, this was an amazingly effective President who really influenced the country and the world, although not always for the better. Another realization from the book is how much the world has changed since Wilson's time. He -- or any other academic - would have a hard time getting elected today and the modern media has no doubt thoroughly changed how political life is conducted. In his thoroughly-researched biography of Woodrow Wilson, John Milton Cooper, Jr. offers the reader a look into the life and times of a significant man in American history. Wilson not only shaped America and the world in the early 20th century, but also helped to push the parameters of the American political system, both from his academic ivory tower and within the Oval Office. As Cooper explores the nuances in Wilson's life, the reader is treated to a wonderful narrative that rises above partis In his thoroughly-researched biography of Woodrow Wilson, John Milton Cooper, Jr. offers the reader a look into the life and times of a significant man in American history. Wilson not only shaped America and the world in the early 20th century, but also helped to push the parameters of the American political system, both from his academic ivory tower and within the Oval Office. As Cooper explores the nuances in Wilson's life, the reader is treated to a wonderful narrative that rises above partisan rhetoric to permit all readers a fast-paced journey through a busy life. Rather than digesting the biography as a tale that spans from A to Z, Cooper offers three distinct characters of Woodrow Wilson with whom the reader can liaise. The keen academic emerges to expound on the need for change, the politician seeks to bring that change to fruition, and the world leader seeks to instil that change in the global political narrative, both within America's borders and in the international political arena. Cooper successfully argues that these three characters are intertwined and did help produce a country and a world that had a better handle on events, heading into some of the most difficult years in modern history. A wonderful biographical piece that readers with a strong interest in politics and the American political system will surely enjoy. 'Thomas' Woodrow Wilson came about his academic prowess naturally. With a keen interest in all things educational from an early age, Wilson surrounded himself with those whose primary focus was to expound knowledge. While many of the men in his close family were preachers, Wilson sought a more conventional approach to academics and attended Princeton, where he read politics and found a passion in this educational endeavour. Even as an undergraduate student, Wilson sought to question the various institutional aspects of the American political system, arguing that it was less effective than the British parliamentary system. In his numerous essays and published work, Wilson felt that parliamentary systems had stronger checks and balances than the American republic, while also allowing a more hands-on approach to governing. This passion extended as he forged onward into deeper study and earned degrees not only from Princeton, but also Johns Hopkins. His essays caught the attention of many, though even armed with a superior writing style, Wilson could not always turn the minds of those in positions of power towards his ideals. As an academic, Wilson returned to Princeton, seeking to educate the next generation of learners, where he discovered changes afoot, as women and people of minority races peppered the student body. Cooper discusses how Wilson wrestled with this change and called for racial and gender segregation on campus, issues that would reemerge later in his presidential life. Wilson rose in the ranks and soon found himself as President of Princeton University, where he could affect outward change, including more faculties to accommodate the new and exciting realms of science, technology, and higher learning. Wilson's downfall came when he tried to push too hard for a graduate building, coming up against strong-willed members of the faculty and board. Wilson would not be deterred, however, as he stood firm in his beliefs, trying to bring about the change he felt was necessary. This passion would prove highly useful in his future endeavours, which seemed to flow naturally from his presidency of Princeton. Wilson's political aspirations could be seen as inherent from his youthful obsession with the American political system. While not thumping for Democratic candidates alongside his family, as with some future presidents, Wilson had a passion for the machinery and knew that he would need to become a cog if he wanted to bring about concrete, rather than theoretical, change. One could argue, as Cooper does, that Wilson began exemplifying political tendencies while leading Princeton. The aforementioned lobbying for space and new faculty buildings forced him to barter with those around him. The university's politics did instil in him some anger and frustration, but also helped shape him into the man needed for his next two posts; ones that would shape a larger electorate and determine major changes for decades to come. After leaving Princeton, Wilson was steered towards the 1910 gubernatorial race of New Jersey, which Cooper made sound like a veritable cakewalk. Wilson's ideas helped stir the pot and forced those legislators to see that he was by no means a passive man, armed with his academic interests in the political system. Cooper does make Wilson's time as governor appear to be a launching pad for a presidential run in 1912, which came to pass without much issue. While Wilson may have been seen by Democrats as their potential saviour, his march to Washington was by no means pre-ordained. In a raucous fight at the convention, Wilson had to fend off others for dozens of ballots before emerging victorious, only to face a hyperactive Teddy Roosevelt who sought to steal away Republican votes through a third-party in the form of the Progressives. Cooper illustrates the pains to which Wilson went to endure the '12 campaign and his ultimate victory, though it was only then that things got a great deal more interesting. While acting as president, Wilson was forced to steer a domestic agenda for a country in dire need of navigation. He used his interests to steer things in a certain direction, but had to weigh his sentiments with both congressional leaders and a Cabinet, each with their own preferences. Wilson succeeded in placing financial legislation on the agenda and developing the Federal Reserve, but there were things outside the domestic realm, discussed below, that occupied his time and turned him from a President of the United States into a world leader prepared to look at a global political sphere. While Wilson did run again in 1916, he was encumbered with an isolationist stance while Europe and the Far East continued their bloody Great War. As Cooper mentions throughout one particular section of the biography, while Wilson did succeed in his second presidential election, said victory marked the end of any domestic presidency, though this is not entirely true. Wilson did oversee two significant amendments to the US Constitution, prohibition (which he tried to veto) and women's suffrage. Cooper illustrates these fights effectively, painting America as a progressive power while the world turned its eyes on Europe and the Germans continued to goad America to join the bloodshed. That Wilson succeeded as a politician was only the first step in the arduous process of becoming a stellar statesman. Wilson was not faced only with leading America during the Great War, but also had to balance his domestic policies with defending American borders and citizens. Mexico proved to be the first thorn in Wilson's side, forcing him to use negotiating skills to prevent another US-Mexico War and keep the peace on the continent. Wilson adopted a 'diplomacy over aggression' approach, which became his niche for both presidential terms when looking to the international arena. Wilson kept America out of the Great War, as Cooper explains, for reasons not simply to steer clear of the European mess, but because there was no territorial infringement or investment. Cooper's wonderful narrative not only depicts the struggles in Europe, but also Wilson's hand-wringing as he watched from the outside, formulating his League of Nations idea. While America did eventually send troops into the fray, Cooper effectively argues that this was neither an easy choice for Wilson nor one the world should take lightly. Wilson began drafting his famous Fourteen Points address and was keen to get things started while the ink dried on the Armistice in 1918. Wilson was surely the key player in pushing the peace negotiations forward and Paris would surely not have been as effective without his invested time. Cooper echoes some of the other reading I have done on this subject (see Margaret MacMillan's Paris 1919) and exemplifies the courage taken by the American president. That said, one might speculate this central role has caused future presidents to feel as though they are the essential cog in the wheel to any peace, and that things ought to be drafted along their own terms. In any case, Cooper argues repeatedly that Wilson shaped not only post-War Europe, but that other seasoned statesmen deferred to him, even as he entered their continental sphere and played chess with their respective geographic neighbours. However, when returning to America to instil this world leader persona on his congressional colleagues, they neutered him and refused to accept the Treaty of Versailles, which proved to be the bloodiest battle Wilson fought and led to the demise of the Democrats in the 1920 election, one in which Wilson could not convince the party faithful to allow him to lead. That Wilson was a statesman like no other cannot be discounted and Cooper does a masterful job at exploring this, though both Wilson and Cooper would likely admit that the former's long-time lamenting of the republican system of government led to the downfall of the larger League of Nations and sullied some of the world leader ideals that the president held. One would be remiss not to mention the familial theme that flows throughout the book, all of which help shape the Woodrow Wilson who emerged in the public domain. Wilson was lucky enough to have met and married two women who acted not only as political wives, but could be seen to offer their own insight into the daily decisions that he made throughout his working life. Ellen Axson, while not the first woman to win his heart, was surely the first to take the time to fully understand him. She stuck by Wilson through the early years at Princeton and helped make the leap to both the Governor's Office (no mansion at the time in New Jersey, for those who enjoy a little trivia) and White House. She bore him three children, all of whom played a significant role in Wilson's life and whom Cooper mentions throughout the narrative. However, her untimely death caused Wilson much angst and he suffered greatly for a period of time during his first term because of this. Cooper offers a thread that Wilson was by no means a man out of touch with the allure of the feminine charm, hinting at potential affairs and dalliances before reaching Washington. Wilson was also able to meet and marry his second wife, Edith Bolling, not too long after Ellen's passing. Edith Wilson was that rare second rock to keep him upright as he forged into the most difficult years as president and stood by him throughout his frustrations surrounding the League of Nations. She offered a strong and protective approach of Wilson, particularly in his twilight years and helped Wilson after his debilitating stroke during the latter time of his second term in office. Cooper's personification of Wilson, showing that he was a man as well as a political beast, offers the reader a great counterbalance throughout the narrative and injects some lighter fare into the heavier topics discussed at length. Cooper's attention to detail is not lost on the reader, as he weaves his way through these most important political and historical events. Wilson's time in the White House alone were, arguably, some of the most important political years in the world. From the push to offer women's suffrage through to the Great War and the Treaty of Versailles negotiations thereafter, Cooper presents the reader with a well-rounded collection of facts and arguments from all the players, allowing a well-grounded decision to be made, even if it differs from that of Woodrow Wilson. There is little within the tome that does not have a balanced counter argument, which is the sign of a superior writer, particularly one who tackles political issues. Cooper is to be commended for his analysis, as well as his luring the reader in with a detailed narrative that paints these historical events in way so as to bring them off the published page. If only all biographers had this passion in their writing! Kudos, Mr. Cooper for such a wonderful biographical piece. Woodrow Wilson transcends the two-term presidency for which he is known and supports his position as one of the twentieth century's greatest world leaders. The other day when I sat down to dinner, my friend Jon asked, “How’s the boyfriend?” To a casual listener this would seem like a completely normal way to begin a conversation; to those at the table more familiar with my weird proclivity for naming historical figures in games of “marry, boff, kill,” it would’ve been obvious that he was actually referring to America’s 28th president, Woodrow Wilson. Over the course of the semester, I’ve devoted more time reading this biography than I have to most The other day when I sat down to dinner, my friend Jon asked, “How’s the boyfriend?” To a casual listener this would seem like a completely normal way to begin a conversation; to those at the table more familiar with my weird proclivity for naming historical figures in games of “marry, boff, kill,” it would’ve been obvious that he was actually referring to America’s 28th president, Woodrow Wilson. Over the course of the semester, I’ve devoted more time reading this biography than I have to most hobbies [tennis, 2001: three weeks; crochet, 1998: 25 minutes] and college relationships [information not available] so now that it has come to an end, I feel sort of…bittersweet? In memoriam, here is my ode to one of the nation’s most fiercely and unabashedly intellectual presidents, who lived through the rise of a powerful progressive reform moment and a major World War, but nevertheless had a personality about as exciting as untoasted Wonder Bread. 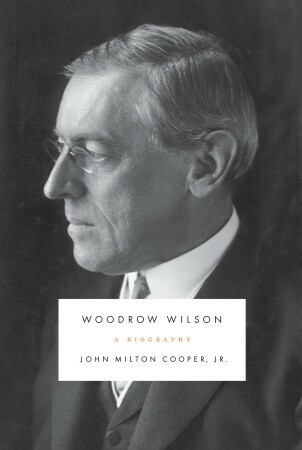 In Woodrow Wilson: A Biography, Cooper traces Wilson’s rise from his early days in academia as president of Princeton to his entrance into political life with the governorship of New Jersey and later the presidency, when he defeated two former Republican presidents in the hotly-contested three-way race for the White House in 1912. Uncommonly intellectual, Wilson was both a famously private figure and a celebrated public speaker, a respected political scientist (the only president to hold a PhD!) and a Nobel Peace laureate. He also had the reputation of being pretty, for lack of a better word, milquetoast. Cooper, much to my amusement, tries to push back a little against this by reaffirming Wilson’s virility as early as the introduction, an accomplishment counted as equal alongside his impressive treatises on government and wartime leadership. This continues later when Cooper writes, in discussing Wilson’s relationship with a young widow: “Others, viewing Wilson harshly, have maintained that such a supposedly unattractive prig was incapable of having a sexual fling” which might actually be the single best line in a biography that has ever existed and will ever exist. My immature fascination with Cooper’s frank discussion of the completely commonplace sexual behavior of a middle-aged man may suggest to you that I am not doing this book justice. You would be correct. Meticulously researched and written, Cooper’s account is remarkably thorough and sympathetic to his subject. Naturally there is a lot of ground to cover, but I think one of the passages where Cooper is at his best is in discussing perhaps the most infamous aspect of Wilson’s legacy: the idealistic formulation—and then stunning failure—of the League of Nations. Noting that Wilson’s campaign in support of the League coincided with a massive stroke that left him essentially incapacitated for months, Cooper argues that the stroke severely impaired Wilson’s judgement and leadership capabilities and bluntly criticizes the president for remaining in office during this time. In doing so, he takes the stigma of inevitability out of the League’s failure—instead of seeming like unrealistic pipe-dream of a naive idealist, the League of Nations is instead presented as a workable approach to peace that many Americans supported and very well could have been passed. In Cooper’s biography, the failure of the League of Nations hinges on minute decisions—a failure to compromise with Republican leadership here, a misguided directive to Democratic senators there—which were all within Wilson’s control (and pre-illness Wilson likely would have been able to master.) Could the League of Nations have succeeded? Cooper argues that it could have had Wilson been healthy enough to face the debate with the same ardor and spirit of compromise he brought to challenges faced as President of Princeton, Governor of New Jersey, and in his early terms as President. And who knows how history would have unfolded had America joined? Wilson is not exactly the most colorful figure, though he has a sparkle of humor in him now and then (when one visitor to his study at Princeton asked “Do you read all these books, Professor?” he reportedly responded “not every day.”) Nevertheless, Wilson presided over an extraordinary period in American history, and the book provides fascinating insight into the anguish of an executive reluctantly waging war, the creation of a powerful Democratic coalition, the triumph of Wilson’s progressive legislative agenda, his change of heart and later impassioned support of women’s suffrage, and his apathy and fatal inaction on questions of racial equality, the consequences of which still reverberate today. Examining the era through his (charmingly bespectacled) eyes is a more than worthwhile exercise. Besides, not all of our presidents could joyride around on safaris and get shot at. That’s what Teddy Roosevelt is for. A great history about an unlikely man who became president. I loved all the detail put into this book. It was well researched. Well written and and a very accessible read. A very good biography about this man. A popular contemporary conception of Woodrow Wilson is that he was a largely successful president whose term ended in failure by his quixotic quest for Senate approval of the Treaty of Versailles and American entry into the League of Nations. He is viewed by some today as an academician and theoretical visionary whose skills as a politician were not particularly strong. There is also the image that he was completely invalided by a stroke suffered in 1919 and that the remainder of his term was ca A popular contemporary conception of Woodrow Wilson is that he was a largely successful president whose term ended in failure by his quixotic quest for Senate approval of the Treaty of Versailles and American entry into the League of Nations. He is viewed by some today as an academician and theoretical visionary whose skills as a politician were not particularly strong. There is also the image that he was completely invalided by a stroke suffered in 1919 and that the remainder of his term was carried out through the shadow presidency of his wife and advisors. Cooper's book provides a comprehensive analysis of this remarkable man. Some impressions we hold are supported but given much more depth by Cooper's thoughtful portrayal of this complex figure; others are shown to be misjudgments, or at least shallow. Wilson was the most highly educated president in our history. His understanding of political systems was scholarly and informed his views and actions as a political leader. He was a student of Edmund Burke and accepted Burke's view that political dynamics were matters of behavior and actions more than institutions. Wilson was a strong proponent of political parties and the salutary effects of parties on shaping political discourse in national events. His early writing on congressional government was (and is) considered to be a brilliant exposition on the nature of, and weaknesses of, our system of separation of powers. He was particularly critical of the congressional committee system which gave inordinate control of matters to a few people whose motives often did not match the national interest. While Wilson was genuinely a scholar, he was also a university administrator. Cooper points out that managing university politics provided meaningful experience to Wilson in his considerable political adroitness shown later in elective offices. Wilson attempted to transform Princeton, where he was president, into a more academically rigorous institution and his maneuvering presaged his skills as a traditional politician. Wilson was governor of New Jersey for only two years before ascending to the presidency. Here he showed his abilities in governing in a state thad been dominated by political bosses and hack politicians. As president, Wilson took a path of progressivism and reform that was extant in the public domain of that era. In working to achieve his agenda, he was far from being an ivory tower theorist in his dealings with political allies and opponents. It was remarkable to see, especially in our time of gridlock, how skillfully he worked with both parties in congress to achieve policy outcomes. One of his two great blind spots, however, was on race relations. One must conclude that Wilson was at best indifferent to racial equality and fairness. There is a strong case to be made that his inactions and actions stemmed from his overtly racist views of African-Americans. At the outbreak of WWI, foreign affairs became the predominant problem to command Wilson's attention. He tried stalwartly to keep America neutral and out of the war. There was in the country up until 1917 strong aversion to getting involved and Wilson worked hard to keep events from pulling America into the conflict, many times in the face of extremely provocative acts by the Germans, particularly the submarine warfare which was costing American lives. When the Germans announced unrestricted submarine warfare in early 1917 the scales of peace and war were tipped toward America's entry. The war effort was all out and encompassed many dimensions of American life. The rabid anti-German sentiment that emerged after our entry led to the second great failing of Wilson's leadership. He was willing to let flourish the most egregious abuses of civil liberties and suppression of dissent that our nation has ever seen. Constitutional freedoms of expression were trampled and dissenters tried and jailed over their anti-war views. Wilson must have had little sympathy for alternative views as even after the war he resisted a pardon for socialist Eugene Debs, a national figure who was imprisoned for several years because of his opposition to the war. Wilson participated directly and closely in the peace conference of 1918-1919. He spent a number of months in Europe negotiating with the victors for a peace treaty that would do much more than satisfy the victors through harsh punishment of the Germans. His famous fourteen points demonstrated his long view that the war's resolution must created a different world than existed before 1914. His conception of the League of Nations was that countries could collectively guarantee peace as they had before come together to wage war. He strongly urged reasonable terms for the vanquished so that the seeds of revenge would not sprout. It is with the treaty and his advocacy for it that we see the strength of his vision and the weakness of his obstinacy. He chose not to involve his political opponents throughout the lengthy negotiations in ways that might have mitigated their concerns or at least weakened their platforms of opposition. When he presented the treaty to the Senate, he was unwillingly to accept compromises (the so-called reservations) that might have ensured approval and garnered at least a starting point for internationalism that could have grown later. He decided to take his message to the public and it was on a whirlwind national speaking tour that he suffered a stroke. The stroke was a life-threatening event for Wilson and certainly deprived him of the vigor to continue his pro-treaty strategy. His wife and advisors shielded him from excessive stress and turmoil, but they did not act as substitute president during his illness and recovery. He did, in fact, recover to a substantial degree, but the affects of the stroke appeared to affect him more emotionally than intellectually. His judgment lost its coolness and he reacted to circumstances in non-helpful ways rather than through calculation. One does not know that even if healthy he would have been able to salvage the treaty due to his rigidity, but surely the stroke made this outcome nearly impossible. Wilson continued to stay on the public scene after his term in office. He contemplated a run for a third term in 1920 and in 1924. While still a figure with a strong national following, his stamina and intellectual prowess were clearly diminishing in his post-stroke years. He appeared to be getting ever stronger by early 1925 when an illness brought him to death, probably due to a generally weakened condition from his stroke. Ironically, Wilson was correct in his vision for ensuring peace through the collective actions of governments as was his fear about the inevitable return to war if his vision were not adopted. Within two decades of the conclusion of the "war to end all wars" the nations of the world became embroiled in an even more devastating global conflict. 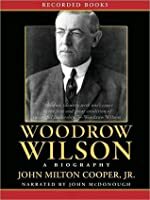 “Woodrow Wilson: A Biography” is John Milton Cooper, Jr.’s 2009 biography of the 28th president. It was the 2010 Pulitzer Finalist in the Biography category. Cooper is Professor Emeritus at the University of Wisconsin-Madison and the author of nearly a dozen books, including “The Warrior and the Priest,” his 1983 comparative biography of Wilson and Teddy Roosevelt. “Woodrow Wilson" is detailed and comprehensive - and clearly the result of significant research. About seventy pages of notes accompany the 599 pages of text. Cooper's writing style is easy to navigate, but while it is intellectual it is not particularly elegant or descriptive. As a result, this book feels like the product of a research-minded historian rather than a writer. While I don't remember reading anything groundbreaking and revelatory about Wilson, this biography is strong in several areas. The discussion of the campaign and election of 1912, for example, is extremely interesting - particularly Cooper's comparison of Wilson's and Teddy Roosevelt's backgrounds and political philosophies. Cooper also provides an interesting review of the 1916 Republican presidential candidate (Charles Hughes) as well as that party's tactical situation during Wilson's campaign for reelection. And the story of Wilson's efforts to ensure US neutrality during World War I is probably better-told here than in any Wilson biography I've read. But the best part of the book may be its final pages: Cooper provides the best summary of Wilson's three-year post-presidency that I've seen. There is a consensus that Cooper's biography is too kind to its subject, and on an absolute basis that is true. Relative to other biographies of Wilson, however, this book actually proves somewhat balanced. Cooper addresses Wilson's views regarding race relations and women's suffrage with more candor than I've seen in other biographies, while his harshest criticism is leveled at Wilson for remaining in office after suffering a debilitating stroke. Still, every Wilson biographer seems to be an admirer...and this case is no different. But while there is much to admire about Cooper's biography, it fell short of my lofty expectations. The author conveys facts articulately and efficiently, but is not always as focused on interpreting those actions and events. Some chapters are infused with compelling analysis, but many are not...reminding me of a souped-up history text. And where the best biographies bring their subjects to life with colorful scene-setting, "Woodrow Wilson" lacks spark and personality. It is not quite a "facts-only" rendering of Wilson, but he and others around him don't come to life with nearly the vibrancy I expect. Instead, this biography reminds me of a college friend you could rely on to tutor you in a difficult subject...but who wasn't a person you would choose to hang out with for fun. Overall, John Milton Cooper, Jr.'s "Woodrow Wilson" is a good, but not great, presidential biography. It's hard to imagine a more thorough or detailed review of Wilson's life, but not difficult to envision one that is more captivating or engaging. It does not live up to its reputation of "revitalizing" Wilson's image (a task performed by at least one earlier biography), but Cooper is successful in portraying Wilson as a great man who was tragically human - and whose presidency would have been greater had it ended sooner. A very nice biography of Woodrow Wilson. He began his adult career as an academic, became President of Princeton University, was elected governor of New Jersey, and--finally--he was elected President of the United States. He was not just an ordinary academic either, but the author of journal articles and books that were--for the time--well reputed. A political scientist who became elected to political office. . . . The book follows him through his life course. It portrays his strengths and his we A very nice biography of Woodrow Wilson. He began his adult career as an academic, became President of Princeton University, was elected governor of New Jersey, and--finally--he was elected President of the United States. He was not just an ordinary academic either, but the author of journal articles and books that were--for the time--well reputed. A political scientist who became elected to political office. . . . The book follows him through his life course. It portrays his strengths and his weaknesses. He had an analytical mind, thought things through, and could be definitive in his decision-making. On the other hand, he could be very stubborn, sometimes creating problems when he served as President of Princeton, Governor of New Jersey, and President of the United States. He held views on race that were problematic. Politically, he began as rather conservative, but won elections as a progressive Democrat. His background in the south helped shape some of his views, although he was hardly an unreconstructed Confederate. The book also displays his personal life--his happy first marriage, the death of his wife, and his second marriage. . . . The sad last years of his life are well depicted. It seems clear, from the author's research, that Wilson had had earlier medical problems that presaged the massive illness occurring late in his presidency. In short, this is a fine biography of Woodrow Wilson. Woodrow Wilson: A Biography, a wonderful work of scholarship, is aptly subtitled. Cooper focuses on Wilson's entire life and seems determined to get that story just right. Thus, the author picks no fights in this cautious tale. Mostly, I found that refreshing. Cooper is clearly a fan of Wilson's, but no apologist. Thus, he doesn't minimize Wilson's racial attitudes and fairly places the blame for the WWI Treaty's American failure at Wilson's doorstep. Cooper is much taken with Wilson's oratorical Woodrow Wilson: A Biography, a wonderful work of scholarship, is aptly subtitled. Cooper focuses on Wilson's entire life and seems determined to get that story just right. Thus, the author picks no fights in this cautious tale. Mostly, I found that refreshing. Cooper is clearly a fan of Wilson's, but no apologist. Thus, he doesn't minimize Wilson's racial attitudes and fairly places the blame for the WWI Treaty's American failure at Wilson's doorstep. Cooper is much taken with Wilson's oratorical and writing skills and even gushes a bit comparing Wilson to Lincoln. Sorry. Lincoln's speeches and writing continue to move me. Wilson's really don't. Cooper didn't convince me otherwise. In the great presidential campaign of 1912, Cooper ventures a little bit into a comparative analysis of the philosophical growth of Wilson and Theodore Roosevelt. I would have liked even more of this because the abbreviated version here was not entirely convincing. (Cooper has also written a comparative dual biography of the two presidents and contemporary opponents). I think this is probably the best one volume biography of Wilson I have read so far. It used to be Heckscher, but I give Cooper the edge because of his writing. There is so much going on, but his writing style makes it enjoyable. Be prepared, it is a dense read, but Wilson had such a impact. I do wish the book was more of his life and times, though. Cooper refers to many situations that really could be expanded just a bit. Yet, the author presents a balanced view of Wilson and shows warts and al I think this is probably the best one volume biography of Wilson I have read so far. It used to be Heckscher, but I give Cooper the edge because of his writing. There is so much going on, but his writing style makes it enjoyable. Be prepared, it is a dense read, but Wilson had such a impact. I do wish the book was more of his life and times, though. Cooper refers to many situations that really could be expanded just a bit. Yet, the author presents a balanced view of Wilson and shows warts and all. While Woodrow is not my favorite Pres., I am looking forward to this bio by Cooper. Wilson’s legacy has come to the foreground again in the past few years, especially in regards to his legacy on race relations. At Princeton University, there has been discussion to remove his name from their school of Public and International Affairs, as to cease commemorating a terrible racist. It was this new brand of discussion that caused me to look into Cooper’s biography of our 28th President. Cooper’s biography tells the complex story of a complex man with such amazing ability; never, in a Wilson’s legacy has come to the foreground again in the past few years, especially in regards to his legacy on race relations. At Princeton University, there has been discussion to remove his name from their school of Public and International Affairs, as to cease commemorating a terrible racist. It was this new brand of discussion that caused me to look into Cooper’s biography of our 28th President. Cooper’s biography tells the complex story of a complex man with such amazing ability; never, in any biography have I felt I understood someone so thoroughly through a book. Most importantly, Cooper is of the era of biographers who are not writing hagiographies, but helping us readers examine and get a measure of a subject. Cooper challenges popular misconceptions, and in knowing his subject so well, is able to educate the reader about how Wilson’s intellect, determination, temperament, and eloquence helped lead Princeton, then New Jersey, then the United States into a brighter future. Conceptions of an aloof, and high-minded Professor trying to do a politician’s job are incorrect: while his approach to handling issues may have been scholarly, Wilson was enormously capable of political machinations, negotiating on legislation, and educating the public about his goals. The legislative accomplishments of his first Presidential term are truly an incredible list. For all of Roosevelt’s punch, it is Wilson who has the political savvy that achieves a lot of the reforms of the Progressive Era. Likewise, Cooper doesn’t avoid or apologize for Wilson’s many flaws. Throughout the book, Cooper hammers Wilson for his shortcomings and failures. He does not shy away from Wilson’s racism and shortcomings on race relations, though he points out Wilson was more of typical of Northerners of his time who just wished this race issue would go away (the Birth of a Nation endorsement is likely not true). Of course, Wilson held positions of power throughout his adult life, so his racism and indifference to the sufferings of black Americans held far greater consequences for blacks, then the prejudices of the average person. Likewise, Cooper examines his temperamental flaws and vanities that held him back from further successes and that came to the front as a stroke ravaged his mind and body for the final year of his presidency. There was, in fact, only one that mattered. But it was massive. US President at the end of the First World War, Wilson was a leading figure in drawing up the Versailles Peace Treaty that made peace with Germany and launched the League of Nations. That body, the predecessor to the United Nations, was intended to prevent war by using the power of other states against any that tried to impose its will be violence. In the event, he couldn’t persuade Congress to ratify the Treaty and the US never joined the League of Nations. There were, undoubtedly, other factors but the world did indeed descend into another world war, as Wilson predicted, within a generation. Wilson is still the only US President, out of 44, to have held a PhD. He was also President of Princeton before he went into politics. That background may have coloured his approach, based on the need to educate the public, to win their understanding as well as support for his actions. Princeton was a good training ground for him. It was riven by another kind of politics, and Wilson had to battle to see his initiatives adopted. He enjoyed mixed success, though he contributed significantly to turning the college into a world-class centre or learning and research. Moving into politics in the other sense, in 1910, at the age of 53, may seem an outlandish career change. However, he won immediate success, becoming Governor of New Jersey. His did well in that role, so he became quickly talked of as a possible Democratic candidate for President in 1912. That was a good year for the Democrats. Since Abraham Lincoln’s victory in 1860, the Republicans had been out of the White House for only eight of 52 years. But now they were split: ex-President Theodore Roosevelt had fallen out with his old friend and hand-picked successor, incumbent President William Taft. The field was wide open. Wilson didn’t start as front runner. But an intelligent campaign, run as much by well-chosen advisers as by himself, took him through forty ballots at the national convention, until he seized the nomination from the early favourite. He then went on to win the general election, taking advantage as predicted of the Republican Party split. In the White House, he took a new approach to legislation, working directly with the Democratic caucus in Congress. This was unprecedented and some suspected unconstitutional, as it might be seen as a breach of the principle of separation of executive and legislative powers. It worked, though, as he pushed through some major elements of his ‘New Freedom’ agenda: he reduced tariffs to make goods cheaper for the poor, he brought in anti-trust legislation against abuse of power by major corporations, he set up the first Federal Reserve system. These were times of success, but also of tragedy. His wife died in 1914, depriving him of a major source of encouragement and support. Cooper takes us through these dark times for the President, through to the moment he met his second wife the following year. He repeats the description of a secret service guard who saw Wilson dancing a jig in the street as he hummed “oh, you beautiful doll, you great big beautiful doll”, after a meeting with his new love. Internationally, the clouds were gathering. War broke out in Europe in August 1914. Both Wilson and his secretary of State, William Jennings Bryan, three-time defeated candidate for President, long-time leader and conscience of the Democratic Party, and committed pacifist, set out to keep the US neutral. However, the behaviour of Germany, especially its use of submarines which led to American deaths in sinkings of liners, made it increasingly difficult to stick to that path. Eventually, Bryan went, disillusioned with what he saw as Wilson’s increasingly bellicose stand. Finally, in 1917 Wilson decided the US had no choice but to join the war against Germany. That led to eventual victory and the peace negotiations at Versailles. When he returned to the US, he faced serious opposition to ratification of the Treaty. Cooper makes a persuasive case that he was already a dangerously sick man; his ill health combined with the loss of Democratic control of the House and Senate meant that Wilson couldn’t again pull off the trick of pushing his measures through Congress as he had in the past. And worse was to come: when he took the case for the Treaty, and for the League of Nations, to the country on a speaking tour, he wore himself out and suffered a serious stroke. The last year and a half of his Presidency were a sad period, as a once-giant of the political arena shrank into a disabled old man, unable to come to an accommodation with his opponents and take the US into the League of Nations. In 1920, the Republicans recaptured the White House and both Houses of Congress by large majorities. So the fictional Ainslie Hayes was right. On a huge question, he backed an important proposal that was dead on arrival in Congress. And, wrecked by ill health, he struggled on when he should have gone. In what I found one of the saddest moments in the book, Cooper shows us Wilson still making preparations for another run at the presidency just weeks before his death. Cooper’s book sometimes suffers from being a little too academic, too long on detail. But it is scrupulously fair and excellently researched, showing the President as he truly was, including his failures, even his inability to shake fully the racist views absorbed from his Southern roots. Overall, it gives a vivid and invaluable picture of a remarkable man in fascinating times. Wilson is most known as the professorial president who managed the US entry into WWI. The first to hold the office with a PhD, Wilson started life with a learning disability, possibly dyslexia, and had only two years elected government experience prior to capturing the Democratic Party’s nomination. This did not, however, prevent him from managing the legislative process well. In fact, he appears more adept than Theodore Roosevelt in this manner. While one could argue his party was indebted to him for its return to power and was willing to reward him, it cannot be denied that the skills Wilson learned as President of Princeton, where a tremendous amount of acumen was required to implement an ambitious agenda, served him well. It is in visionary thinking and strategically implementing an agenda where Wilson is at his strongest. It is also what puts him in a category with Andrew Jackson as having a major influence on our history. He dramatically changed our country whether one thinks that is good or bad for our country. Southern born, ironically, Wilson is a federalist, preferring Alexander Hamilton over Thomas Jefferson, prefers parliamentary government over congressional government, and was an open admirer of socialism (even though he kept Eugene Debs imprisoned well after the conclusion of WWI) While Theodore Roosevelt may be seen as the Father of Progressivism, it was Wilson who was responsible for moving the country towards policies that reflect that movement as evidenced by replacing tariffs with the income tax, implementing the inheritance tax, and passing the Federal Reserve Act. He had a hands-off approach to managing his cabinet, which Cooper argues was the genesis of many the missteps during his administration but probably kept the country running in the aftermath of the stroke Wilson suffered. This was an excellent biography. Cooper is very readable and able to explain very complex issues like the Federal Reserve Act. I finally understood why it was important to trudge through those excruciating reads on the tariff issue in previous reads. It set incredibly important context for the enactment of the federal income tax. I found Cooper’s attention to Wilson’s experience with Mexico a fascinating pretext for Wilson’s hesitancy to enter WWI, and I was among many Americans who assumed the sinking of the Lusitania immediately precipitated our entry into the war. I was really surprised to learn how early the rudiments of Wilson’s ideas on a worldwide league had been germinating in his thoughts. Finally, it is really scary to realize how long the country was operating without an able minded president (anyone who thinks we have never had a female president should read a Wilson biography). It is telling of just how impaired his thinking was that he didn’t offer to resign. Wilson appears, up until the point, to be a man who possessed an incredible amount of self-awareness and had devised a plan to allow Hughes to take the presidency prior to inauguration date had Wilson lost the 1916 election because of the looming war, fearing that a lame duck presidency could be dangerous for the country. Woodrow Wilson ranks among the most controversial presidents in American history. Elected at the peak of the Progressive movement in the United States, he secured passage of a number of new measures that fundamentally transformed the government’s relationship with the economy, yet presided over the introduction of segregation at the federal level. While promising a new approach to foreign policy governed by morality rather than crass personal interest, he initiated Latin American military interv Woodrow Wilson ranks among the most controversial presidents in American history. Elected at the peak of the Progressive movement in the United States, he secured passage of a number of new measures that fundamentally transformed the government’s relationship with the economy, yet presided over the introduction of segregation at the federal level. While promising a new approach to foreign policy governed by morality rather than crass personal interest, he initiated Latin American military interventions little different than those pursued by his predecessors. And while he led his nation into a war to make the world safe for democracy, the resulting peace only laid the groundwork for another, even more devastating conflict just two decades later. For these reasons, Wilson has not wanted for historical study, yet a good biography has long proved elusive. John Morton Blum’s Woodrow Wilson and the Politics of Morality and Kendrick Clements’s Woodrow Wilson: World Statesman are both valuable short introductions to Wilson’s life, but a more detailed examination that fits Wilson within the context of his time has been lacking until now. John Milton Cooper has meet the need for such a work with this book. A scholar who has spent his career studying Wilson and the Progressive era, he brings the benefits of his extensive knowledge to bear in this study. While not uncritical, he is generally sympathetic towards Wilson, and works to dispel the image of the stern moralist that persists in the popular imagination. His Wilson is at his core an educator, a president who was most successful when he explained his proposals and intentions to the public. Such efforts helped win for Wilson a number of impressive legislative and other policy achievements, while his failure to do so (such as in the fight over the League of Nations) often emerges as a major factor in his greatest failures. • The ex-president used to go by his birth name of Tommy Wilson. • He was a big baseball fan. Obviously before the Houston Astros ruined the sport for many of us. •	The ex-president used to go by his birth name of Tommy Wilson. •	He was a big baseball fan. Obviously before the Houston Astros ruined the sport for many of us. If anyone’s still with me, the most important aspect of Cooper’s biography is that it serves to balance the divergent viewpoints about Wilson that followed his presidency. The author readily acknowledges the camp that vilifies Tommy as a racist war-mongerer who’s actions – or in the case of civil rights, inactions – inexorably led to the Cold War, World War Zwei, and ill guided Birmingham fire hoses. This happens to be a camp – seemingly following no particular partisan line – that has authored all the books mentioning Wilson I’ve read of late. At least from the standpoint of someone who doesn’t know any better, I found Cooper’s narrative to be successful in this regard. The structure is predictably chronological but I never got the sense of being bogged down in some particular time frame/event. I’ll stop short of saying that I didn’t occasionally desire a nap while reading this sizeable tome. In fact the only reason I got through the last 200 pages in two evenings is that my library due date was upon me and I can no longer entertain the thought of standing in a lengthy, angst-filled line to pay a 15 cent library late fee to an anti-social miscreant. (No offense to libraries in general but at Boston’s Central Public Library they apparently only hire surprisingly unhelpful misanthropes to handle all public interactions). The whole, if you will, story flows well from his pre-Confederate birth to his final, incapacitated days attempting that lawyer thing again. This is a very well-researched and detailed biography. However, I think that Cooper frequently looks the other way when evaluating many of Wilson's actions, motives, and policies. I came away with the impression that Wilson was a racist. He was also an idealist, which ultimately helped him destroy his own presidency and his campaign for the League of Nations. His obsession with the League of Nations, and his ambivalence to race riots in 1919 and the subsequent Palmer Raids is disturbing. Wilson is a man of contradictions. A racist who advocated for women's suffrage and arguable opposed Prohibition, a reformer and a devout Presbyterian, an idealist and opportunist in equal measure. This biography clears up a lot about his life. A necessary and very helpful book, about an all-too-human president. “Wilsonian” is a word that gets thrown around a lot in foreign policy circles, and we are as guilty as anybody. The term—usually derogatory—warns against anyone stumping for policies (especially foreign intervention) based on idealistic notions such as self-determination or human rights. Woodrow Wilson has become something of a cliché: the stuffy, pie-in-the-sky academic-president who thought he could solve all of the world’s problems through high-flown rhetoric and goodwill. Of course few peopl “Wilsonian” is a word that gets thrown around a lot in foreign policy circles, and we are as guilty as anybody. The term—usually derogatory—warns against anyone stumping for policies (especially foreign intervention) based on idealistic notions such as self-determination or human rights. Woodrow Wilson has become something of a cliché: the stuffy, pie-in-the-sky academic-president who thought he could solve all of the world’s problems through high-flown rhetoric and goodwill. Of course few people know what was actually going on in America at the time surrounding World War I, and similarly few people know much about Wilson, including ardent students of international politics. As with everything, when one digs deeper, the truth is, to infuriate ideologues of all stripes, more complicated. James Milton Cooper, professor emeritus of history at the University of Wisconsin, has written a few books on Wilson1 and the time period, and now he has penned the book on America’s 28th president. And though he clearly admires Wilson, that admiration doesn’t spill over into the all-out adoration practiced by some of Theodore Roosevelt’s biographers. Cooper takes measure of the man and his policies and often finds him lacking. Wilson’s tale is, at its heart, all about tragedy. Time and again, at Princeton, as governor of New Jersey, and as president, Wilson seems on the cusp of resounding success, only to descend into deadlock, failure, and self-pity. Clearly, Wilson was a strong starter and a practitioner of boldness. He wrote his sole major academic work, Congressional Government, when he was only 28. At each administrative/executive stop along the way, Wilson pushed through major reforms within a year or two of ascending to the top of the ladder, thereafter to be stymied by enemies often opposed to his brand of progressive reform. As president of Princeton, he lost a battle to make the newly founded graduate school the heart of the university and as Governor of New Jersey he fought the Democratic Tamany Hall-style of politics to a standstill. The first year of Wilson’s presidency stands as possibly the most successful legislative record of all time, and one which signified the modern era in the new world: restrictions on child labor, creation of the Federal Reserve, the Federal Trade Commission, the income tax, and the eight-hour workday, and the first federal aid to farmers. Yet his early success was tarnished by the way his presidency ended. Wilson is a hard man to get a feel for, even when Cooper is doing his best. Part of that certainly lies in the fact that Wilson had very few close friends and really only one or two close male friends throughout his whole life. Although we do find out that Wilson wasn’t the dry, stuffy man people usually think (he actually did have a pretty good sense of humor), Cooper is unable to convince the reader that there wasn’t some sort of aloofness or insecurity about him, a distance from others that, in large part, would be his undoing. Many “great men” of history are also men of contradiction. After all, they are only men, as Wilson reminds us. Contrary to the present-day assumption that he was a crusading idealist (a mantle much more apt for Mr. Roosevelt), we find out that Wilson was an admirer of the great conservative Edmund Burke and his concept of “expediency.” Yet while Wilson trumpeted gradualism on some issues like women’s suffrage, he was more often partial to the bold move and grand gesture. And though, he ushered in a startling number of reforms, he had no empathy for or interest in the plight of African Americans. He had great nostalgia for the South of his childhood, but lived most of his life in the North. In his painted portraits, Wilson was able to project the stoicism of a man in control of his passionate impulses, but in his private life his emotions frequently got the best of him. After the death his first wife Ellen, in his first term, the president understandably sunk into the bowels of depression, only to ascend to the heights of romance as he fell in love at first sight. According to Cooper, Wilson virtually abandoned the presidency while mourning Ellen’s death and then courting the widowed Edith Bolling Galt. Much has been made of Wilson’s “irony of fate,” that a politician so learned in domestic politics instead would be forced to confront international affairs as no president had before.2 Here, too, had Wilson heeded Burke, he may have been able wield his considerable intellectual powers toward a lasting and realistic peace. It’s not as if he was blind to the magnitude of the challenges facing the world in the years ahead. As Cooper notes, Wilson repeatedly predicted a devastating conflict arising out of the first world war, unless the structure of international politics could be changed drastically. But instead, in his quest to upend a system governed by the balance of power, he was forced to accept the very types of ugly bargains (harsh punitive terms for the Germans, ceding parts of China to the Japanese) in order to get the world powers to agree to his League of Nations. In another irony, these compromises would be a large part of his undoing as he tried to sell the treaty to Congress. Cooper convincingly argues that Wilson’s health is what ultimately sunk the treaty, however. The wrangling over the Treaty of Versailles in Europe had left him exhausted, irritable, and on the brink. As he toured the country doing what he could do best (eloquently educating the populace), Wilson suffered a stroke that would leave him bedridden for months. Worse, it completely destroyed his ability to control his emotions. Having never surrounded himself with able men who could challenge him and whose opinions he respected, Wilson became a shut-in and hardened himself against the outside world. He alternated between delusions of grandeur and self-pitying depression. And he ultimately killed American participation in the League of Nations by refusing any compromise. Probably because he’s written so extensively about many of these issues elsewhere, Cooper keeps his lense squarely on Wilson. There are few lengthy descriptions of the other players or dissections of the conditions of the time period (unlike, for example, Robert Massie’s epic Catherine the Great). Neither does Cooper engage in the sort of “historiatrics” of Roosevelt and Reagan biographer Edmund Morris, whose rich renderings can strain to the brink of hyperbole. That could have left Woodrow Wilson boring and stale, but thankfully Cooper has a gift for clear and readable prose, and the laser-like focus on his subject keeps the reader chugging along. Do not fear instrusive documentation or overwhelmingly footnoted work. The quotations and analysis are incisive while still allowing Wilson’s much-ballyhooed eloquence to shine through. Casually throwing out the quasi-insult of “Wilsonian” becomes a bit more complicated after delving into the life of the professor—and possibly a reason to revisit the origins of “neoconservatism” and “realism” to see how the modern interpretation differs from the original. While Cooper remains quite sober 4, his book enters that rare category of engaging, well-researched, and relevant history. It’s an achievement that likely won’t be surpassed. About John Milton Cooper Jr.
John M. Cooper (born 1940) is an American historian, author, and educator. His specialization is late 19th- and early 20th-century American Diplomatic History. Cooper is currently Professor Emeritus at the University of Wisconsin-Madison. Books by John Milton Cooper Jr.